When you get married you start a new chapter in your life. Yes, some things that occur may seem tempting to share because you want that shoulder and support through tough times. In the time of need you want some one that will be by your side. We understand it can be a hard habit to break since we do turn to significant others to vent to. However, exposing some of your situations to others can hurt you. You run the risk of ruining your relationship with your husband or wife, or even confusing you more in the end about your current situation. The last thing we want anyone to resort to would be therapy, here are the three sparkling keys to a successful marriage! In the beginning you were so open with your spouse; however, you undoubtedly spilled all the beans about your past encounters. Now that you have tied the knot with that special someone, there are secrets you want to keep away from friends and family. Always check first to make sure what you can share or not with others. It is better to be safe than sorry. Our significant others enjoy when reassurance is requested and often feel included. When it comes to income and debts in the home, that should be private between your spouse and yourself. Monetary conversations are a private issue no matter what, good or bad. Depending on the relationship that you carry with your significant other can really humiliate your spouse. One of the biggest set backs is the fact that the amount that is brought into your relationship might make your friends feel uncomfortable. You just do not know how their expenses are situated. It may seem like a common conversation to have; however; this can be misleading for different people. Most people love to hear about great accomplishments, but not when they are not doing to well. To be in the clear, keep monetary conversations at home. If there comes a time when your spouse tells you to not tell anyone, you do just that! If you do, that can damage friendships and marriages. Trust is key in marriages, along with being open about things, you want to keep that trust with your significant other. Most partners will share something secretive with you and immediately ask you to not tell anyone. The main reason for this is the mistake of telling the wrong person when gossiping. Your girl friends and guy friends respect the relationships you have however, sometimes the best option is to keep secrets a secret. This also can relate to something about your partner. If you know something hurtful, there are a few options. We suggest deciding if this a topic you must discuss. If not you can confide to professional help rather than your friends ear. It is understandable that we all need to express our secrets and intimate issues with someone. What you should go after is an individual that can provide an unbiased response to your situation. This is hard to come by with close friends and family. You want to keep the sparkle from day one till death do you part. Incorporation of sparklers at weddings these are still the best way to end the night on a sparkling accord! 36 inch wedding sparklers are the hottest item among brides across the United States. 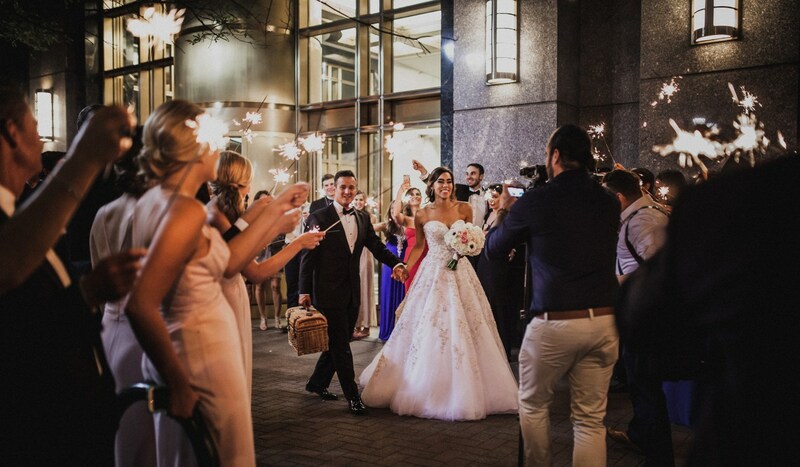 Newlyweds share the magical experience using sparklers with their friends and family, to have one final celebration of the new journey the newlyweds are about to embark on. Brides sometimes ask their friends to aide in the planning of their wedding. This is when significant others adding sparklers accept the additional help to their special wedding day. The wedding sparkler buckets and heart sparklers have become a hot item to add that extra flare to the wedding day. Your new found love should be a lot like wedding sparklers shooting off into the night and sparkling bright! We hope you found our three exciting tips on keeping your new marriage sparkling bright!